The EST series is a grain temperature monitoring system for use in monitoring grain quality in storage through multiple point temperature measurement within each grain bin. The product line consists of two types of sensor cables, the EST110 grain temperature monitoring cable and the EST120 temperature/level monitoring cables. Each use state-of-the-art sensing technology to minimize installation costs and maximize performance and value. Readout via PC-software and a future wall mounted graphic display/keypad interface. Monitoring grain temperatures throughout storage bins is an important function to maintain adequate grain quality by detecting insect infestation and mold growth. The EST110 grain temperature monitoring cables use simple high performance 1-wire digital temperature sensors that can be located at multiple points within a single cable of overall length up to 98.5ft (30m). 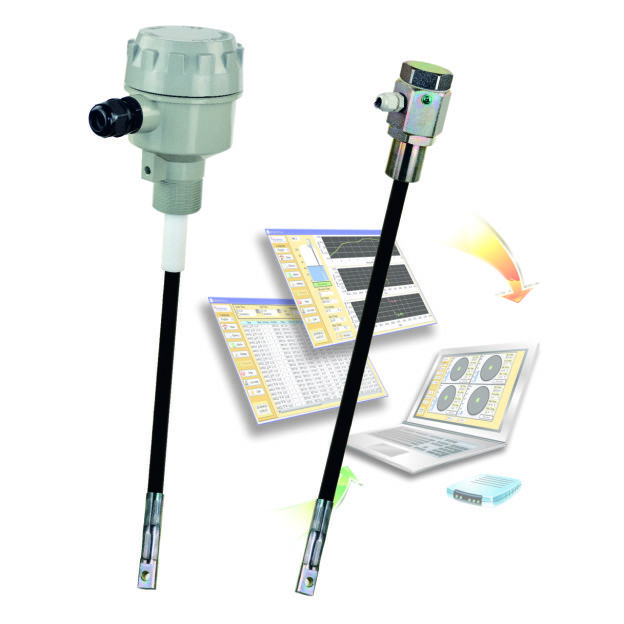 The use of these digital sensors simplifies installation as only a pair of wire is needed from each multiple point grain temperature monitoring cable. Each cable will connect locally at each grain bin to our HubLink data processor which provides an easily installed RS485 MODBUS 2-wire connection into the system. Multiple HubLink units can be daisy-chained with a single 2-wire cable to the PC or operator interface. Aplus Finetek’s MMS-TLA series software provides the graphic interface to the entire system. The EST120 combines multiple point temperature sensing using 1-wire digital sensors with continuous capacitance level measurement to provide an RS485 MODBUS connection into the system with or without HubLink units to the MMS-TLA PC software or RCU wall mounted graphical interface. For more information look at our EST Series product page and contact Aplus Finetek Sensor, Inc. at 815-632-3132 or email us at info@aplusfine.com.